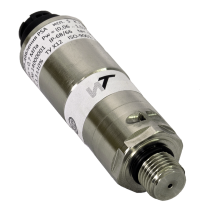 Digital temperature sensors and pressure of liquids, gases, granular media and solids, covering all areas of possible applications. 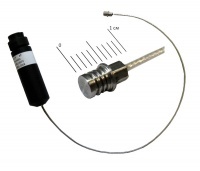 The transmitter provides operation on the mounting pressure pipelines up to 500 bar with a diameter of 15 mm to 2000 mm. 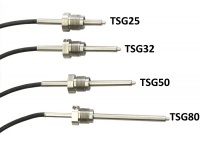 Digital sensors require the use of independent, are factory metrological calibration and built-in RS485 interface protocol Mod-bus, Open-bus, HyperTerminal cable or plug connection to an external receiver of the information (the controller computer). There is a way to connect with galvanic isolation. Digital temperature sensor performance series FERRUM TSK.